This statistic shows the main destination countries of crude oil exports from the United Kingdom (UK) from 2016 to 2017. The largest proportion of crude oil extracted in the United Kingdom was processed by domestic oil refineries. 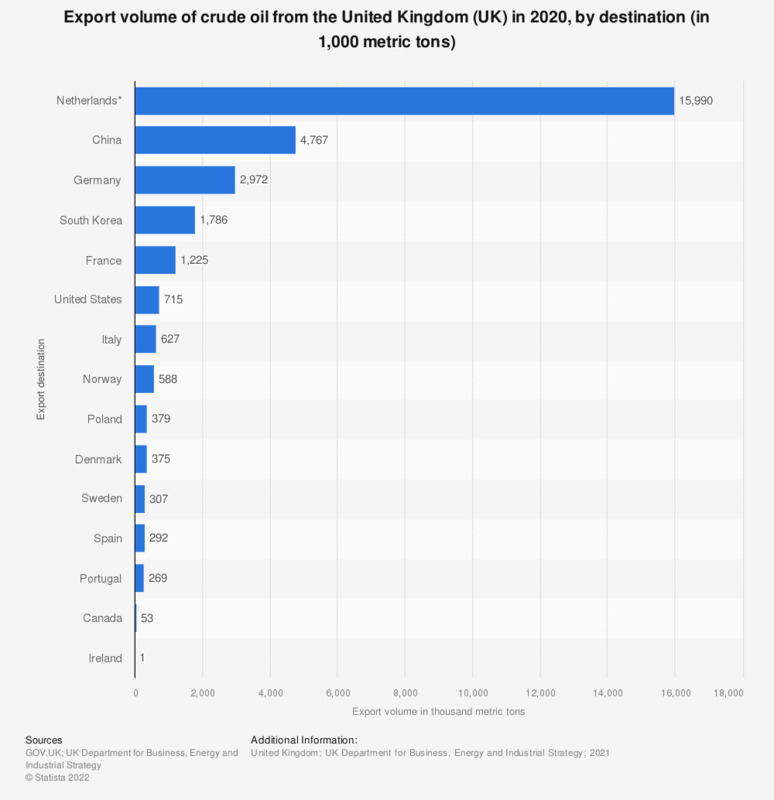 In terms of exported crude oil, the Netherlands received the largest amount of crude oil of all countries shown here. * Exports to the Netherlands include oil for transshipment or in transit to other destinations (e.g. Belgium and Germany). **Some of the exports to the Caribbean area may have been for transshipment to the USA.